Channel 4 to put back catalogue online for free | What Hi-Fi? The additional content will be added to the 4oD video-on-demand service and will enable viewers to watch every episode of shows such as Father Ted and Brass Eye. Other popular series to be included are Shameless, Vic Reeves Big Night Out, Ali G and Teachers, as well as property shows such as Location, Location, Location and Grand Designs. 4oD currently offers viewers programmes for 30 days after they broadcast, but its back catalogue will enable people to watch older shows whenever they want. Archived content will be available to PC, Mac and Linux operating system users on a free, streamed basis. However, some content such as Friends and Channel 4 News will not be made available online for copyright or legal reasons. 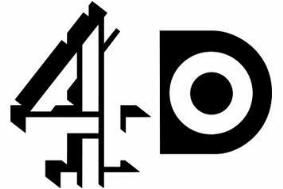 Jon Gisby, director of future media and technology at Channel 4, says: "We were the first broadcaster to launch a comprehensive video-on-demand service in 2006, and since that time 4oD has become one of the UK's most popular video-on-demand services."